This blog is a continuation from last week. Catch the last edition here and learn how to streamline the meeting process to save precious hours in your day. Meeting someone new? Maybe it’s someone you’ve met before, but don’t remember those finer details about them? One of Zoom.ai’s most popular functionalities is the Who Is skill. Soon to be your secret tool, your new automated assistant can help you to understand those you’re meeting with, what they do, and ultimately, how to deal with them best. Going through people’s past work, social media profiles, blogs, tweets, etc. 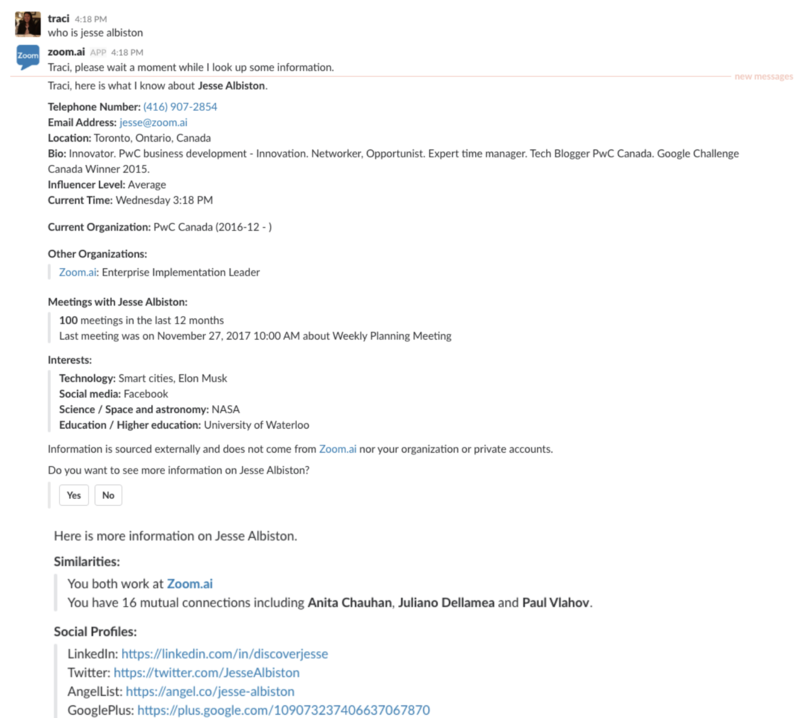 is a tedious method to research people and it can jarring having a screen open with someone’s LinkedIn page, knowing they could walk by at any moment. 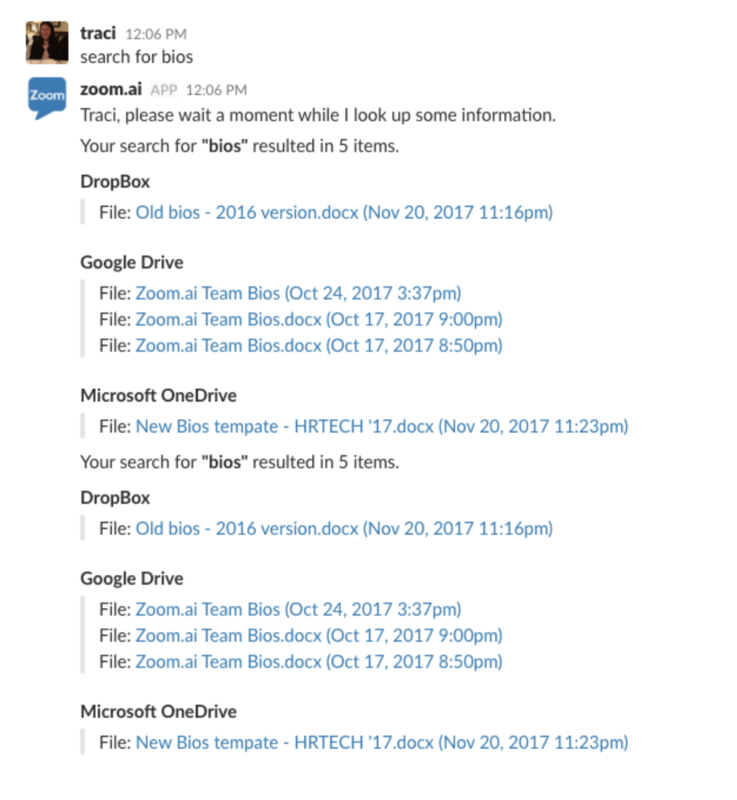 Zoom.ai’s Who Is feature helps to aggregate all publicly available information in chat, for an easily digestible meeting brief about the people you’d like more information about. While meetings have become something we all collectively dread, they remain necessary to the growth of a company. Maintaining collaboration and communication through the company, there are undoubted positives to them. Don’t let them be a death sentence; consider taking out the guesswork from meeting scheduling and automate them. All the above-mentioned functions are available to you and your team – for free! Get started now, or contact us to learn more about the product.